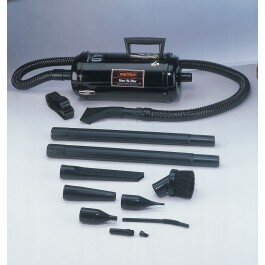 It has an amazing 95" of water lift (the standard measure for a vacuums efficiency). Compact, powerful, portable, it’s heavy-duty, lightweight, all-steel body is only 17" long and 7" in diameter which makes it easy to handle. Use it off road, too, as a vacuum for cleaning around the house or yard, or as a blower to inflate rafts, air mattresses or blow away leaves. The Vac N Blo comes fully equipped with a wide range of attachments, so whether the job calls for power or precision, you'll have the right tool at hand. A 6’ flexible hose plus two 20" extensions reach even the furthest corners. 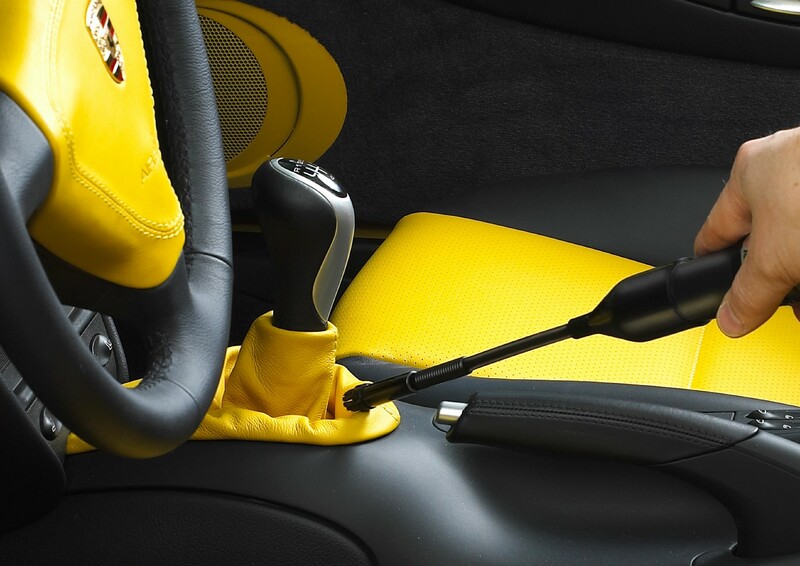 Other attachments include: an upholstery tool, dust brush, crevice tool, blower nozzle, air mattress inflator, shoulder strap plus 4 "detailing" attachments to get into tiny spaces. 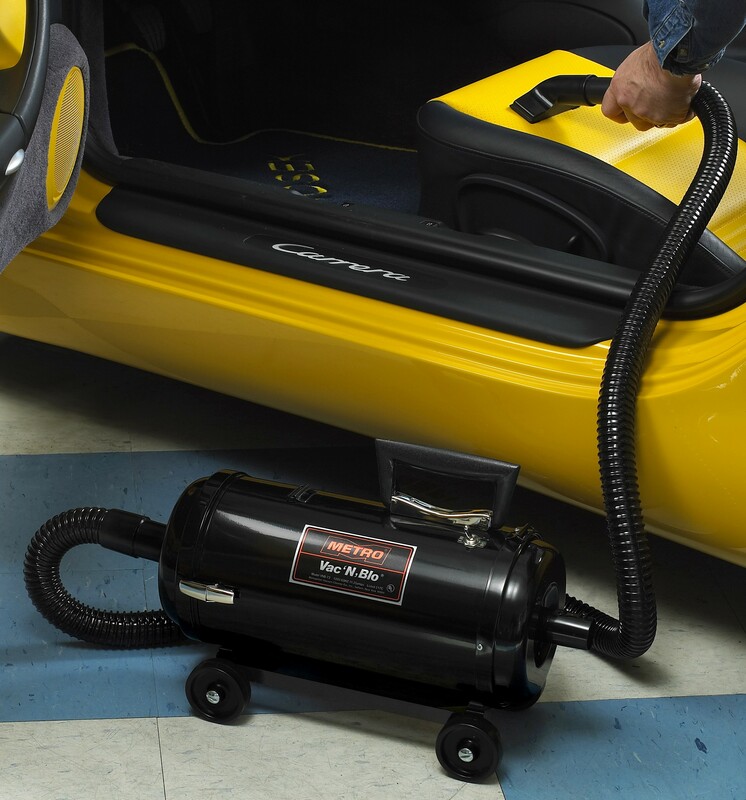 The Jumbo Vac N Blo® makes vacuuming a breeze. 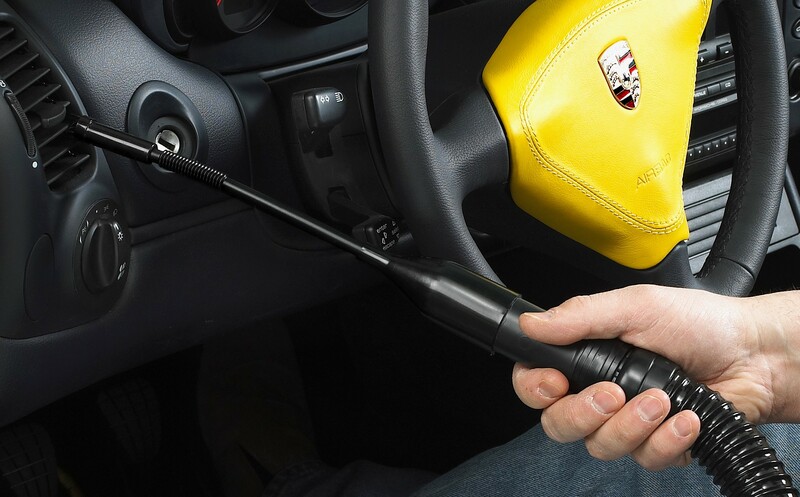 It’s great for cars, trucks, SUVs or to clean your garage. The features include: 4.0 peak HP motor producing 95 inches of water lift and almost 5 times the bag capacity of the standard Vac N Blo®. 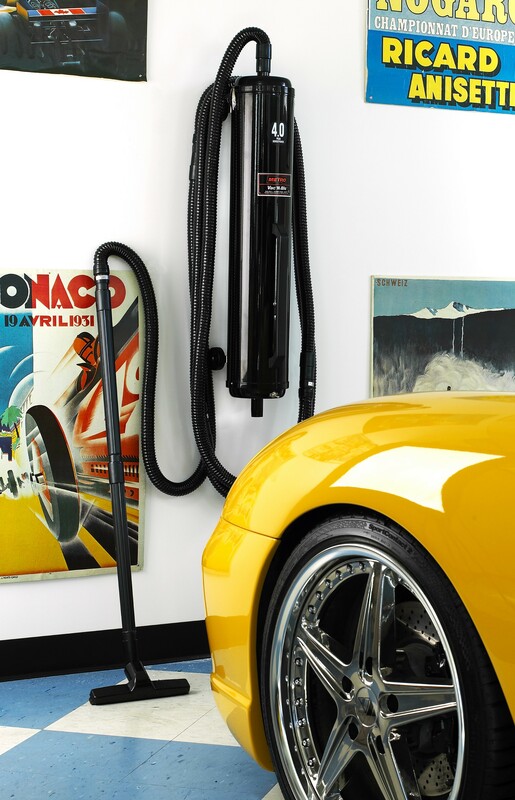 The convenient wall mount provides you with a central vacuum cleaner for your garage, and 24 feet of hose gives you access to every nook and cranny in your car without ever moving the vacuum cleaner. It features All Steel Construction and made in the USA! 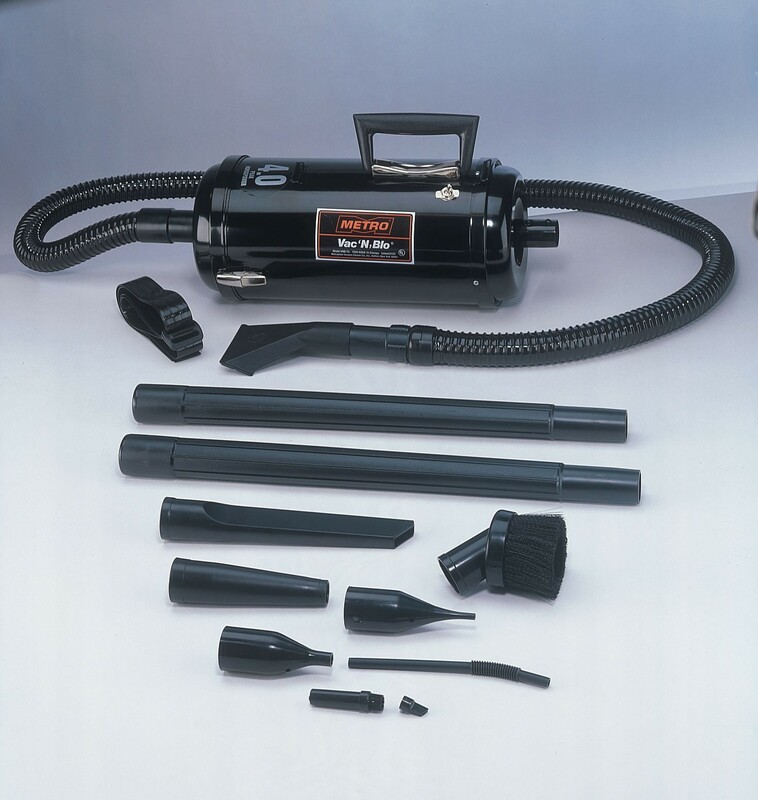 The Turbo Hand Tool is an excellent option for either the Jumbo or Regular Vac N Blo®. The tremendous suction produced by the Vac N Blo® turns a turbine within the THT-1 which in turn rotates a bristle brush at warp speed. 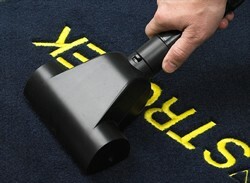 The result from these machines is a more efficient way of getting dust, dirt and debris from carpeting and floor mats.